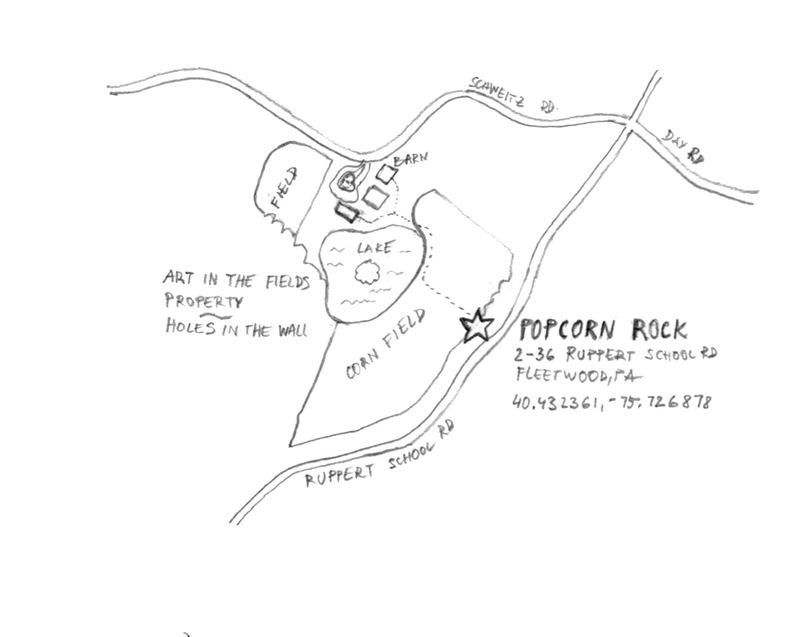 The PopCorn Rock sculptural site-specific project by Kristyna and Marek Milde explores the cultural narrative of our most prevalent staple food, corn. 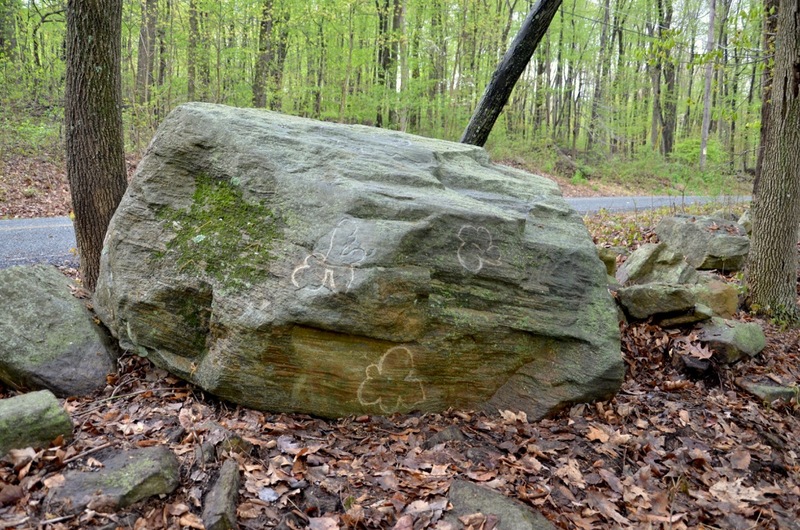 Pop Corn Rock is a granite boulder covered with petroglyphs depicting ornamental images, symbols and human figures carved in to the rock appearing on the first encounter to be messages from the past. 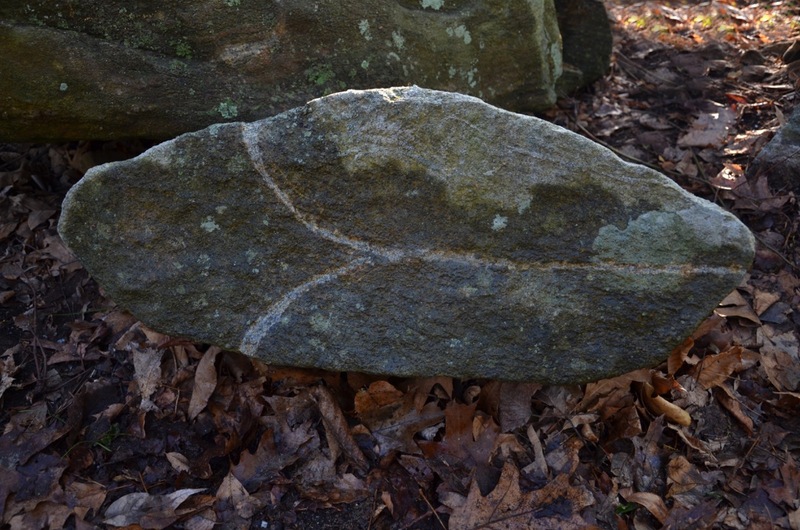 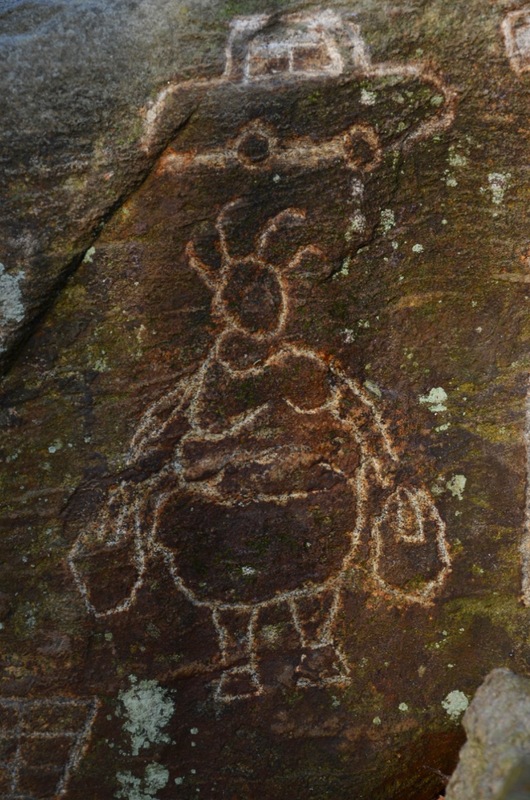 By using the ancient technique of petroglyphic art, Mildes chiseled into the stone an engraving, retelling the story of corn, and its significance and cultural role seen from the contemporary perspective. 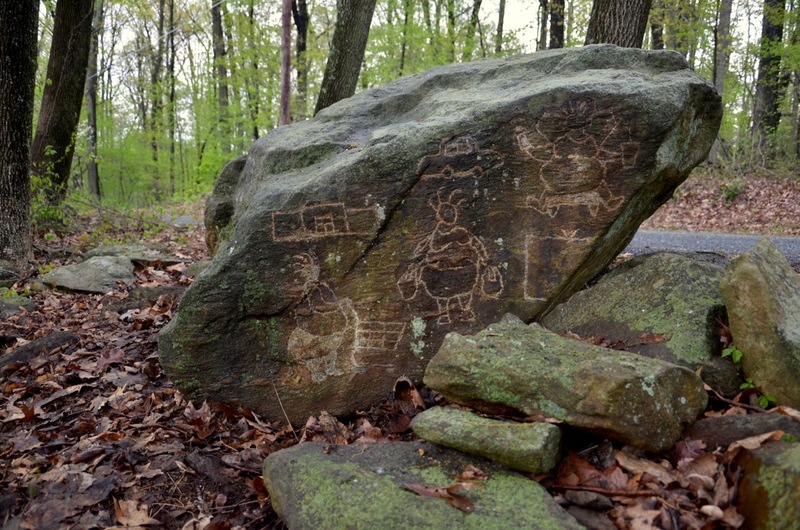 The PopCorn Rock is located on the edge of a former cornfield on a rural country road in Berks County, Pennsylvania. 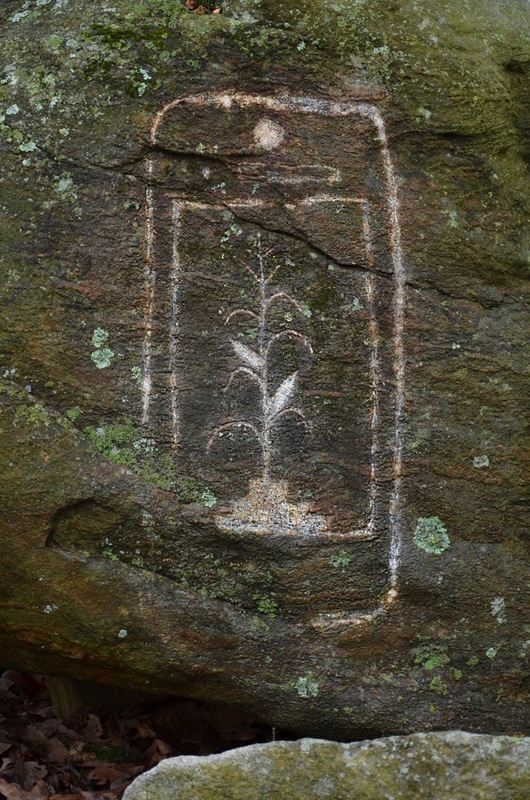 Visible from the side of the road there is a historic drawing of a corn plant chiseled into the stone surrounded with an oval shape, identifiable as a smartphone silhouette.The artists describe the image as representing the modern framing of history and knowledge in general by a screen, referring to an actual petroglyph of a corn plant made by Navajo Indians, which they found online while researching the topic. 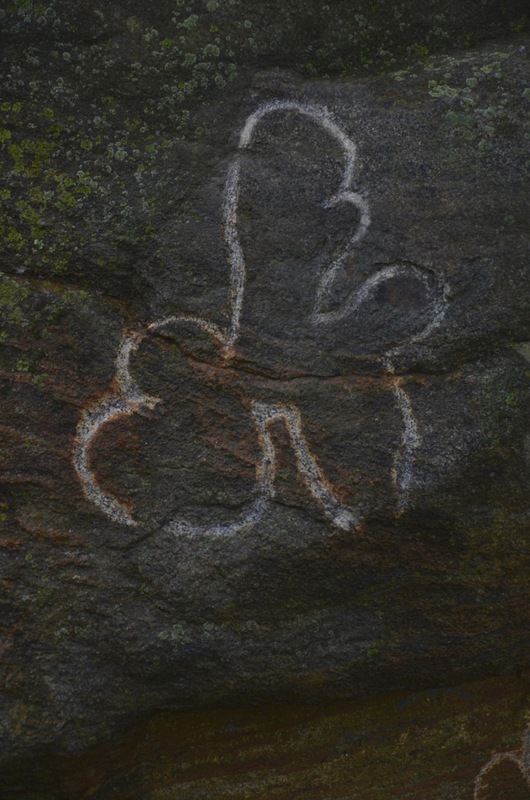 There is also a snake-like image that could be read as a shamanic symbol, and at the same time noticeably resembling a molecular structure. 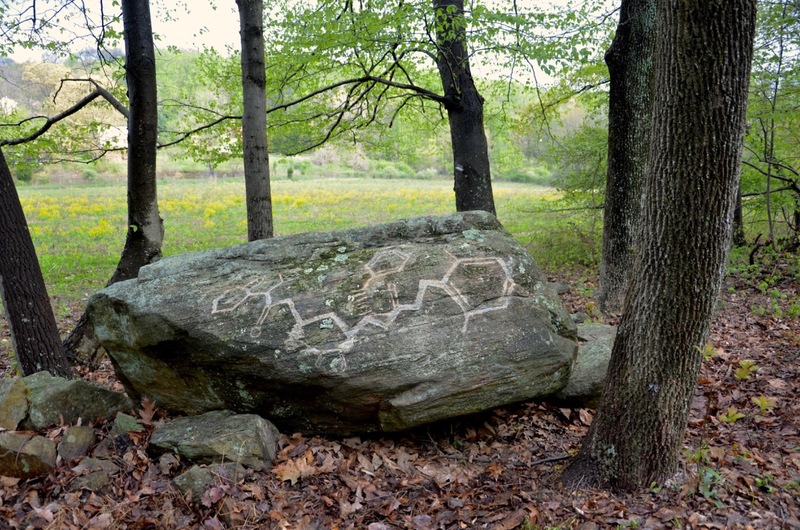 In fact, the snake is a reinterpreted form of the molecular chain of high fructose corn syrup, representing the sneaky nature of the artificial substance. 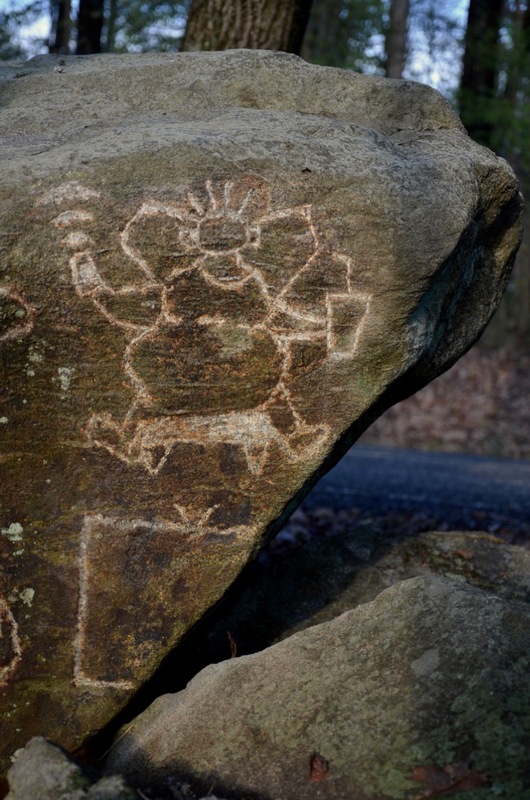 There are other symbols, which can be discovered while walking around the stone, such as circular rosettes-like popcorn and three figures overweight engaging in modern rituals of shopping, drinking soda and watching TV, activities in which corn plays a major role. 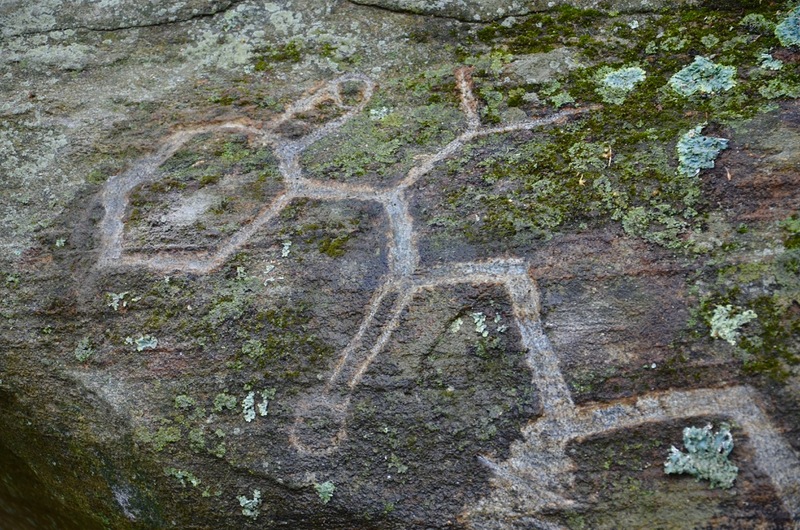 “By using the technique of the ancient petroglyph art, we are interested to look at the present corn from the perspective of the past, to create a metaphor for its cultural intersection and awareness for the current issues we can’t or refuse to see”, say Mildes. 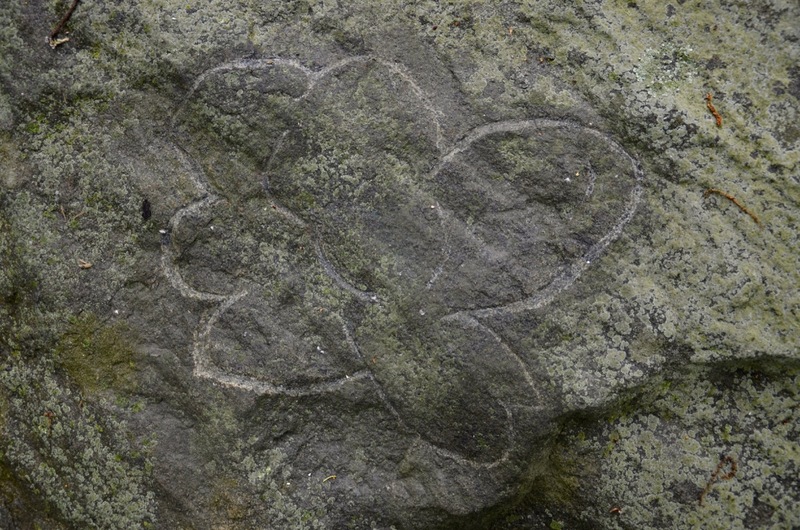 Kristyna and Marek Milde in their art practice they explore the culture of modern lifestyles examining the themes of alienation of culture and nature. 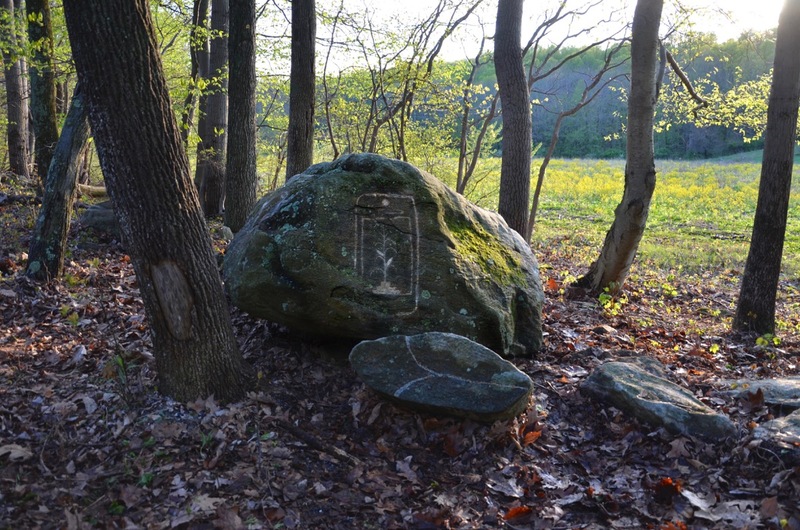 The PopCorn Rock is part of a larger body of Mildes’ work confronting consumerism, in which they explore myths, symbols and rituals of the culture of food and its environmental integrity. 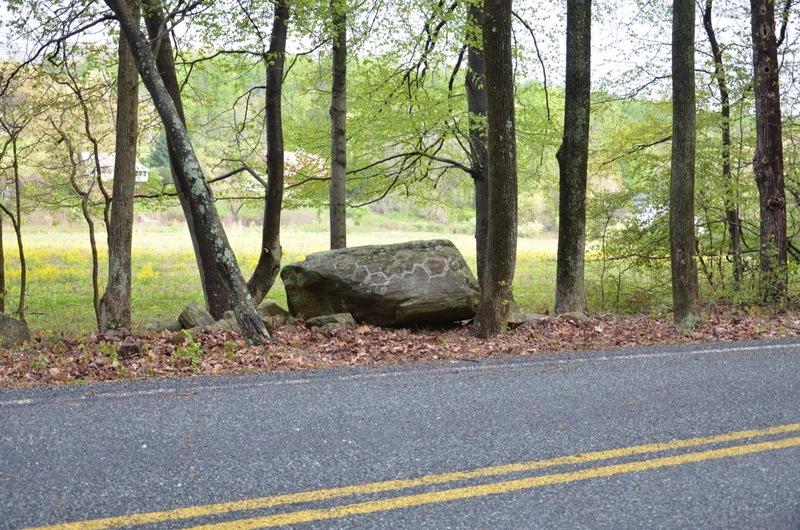 The PopCorn Rock is located on the roadside between the former cornfield and the road approximately at 2-36 Ruppert School Road, Fleetwood, PA 19522.